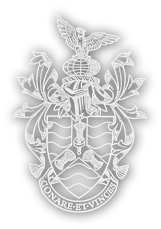 The Rifle’s Sword, which established the pattern later adopted by all Guards regiments, has a straight carbon steel blade etched with the regimental crest. 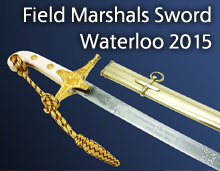 This contrasts with the Grenadiers, Coldstreams, Scots, Irish and the Welsh Guards whose swords carry the battle honours of each regiment on a nickel plated blade. 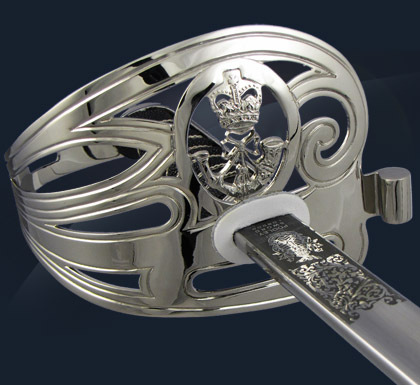 The nickel-plated steel guard of the Rifle Regiment Sword is pierced and etched with a scroll pattern that includes the regiment’s own cypher in place of the Royal cypher. Similarly, Guards Hilts display their own particular cypher in the hilt. The grip is in black fish-skin bound with silver-plated copper wire. The sword is available with a leather Sam Browne scabbard for service wear or a nickel-plated steel scabbard for full dress occasions.